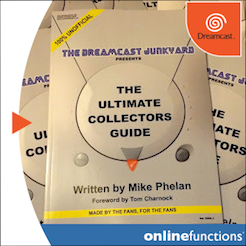 If like me you spend a ridiculous amount of time perusing eBay for all manner of Dreamcast-related nonsense, then I'm pretty sure you'll have already seen this. If you actually have a life though, you may not have, so allow me to get to the point before I waste any more of your precious time. Time that could be spent doing something infinitely more important or interesting. Such as watching a teabag percolate in a cup of boiling water, for example. Or looking for your keys that you swear to God you left on the table in the living room but are now nowhere to be seen. Where are they?! Yes, quite. Right. 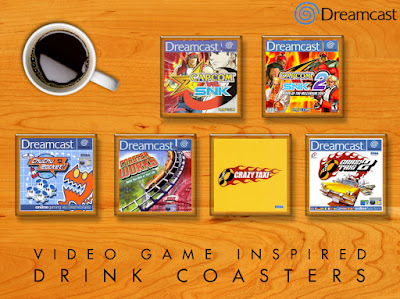 Someone's had the bright idea of putting Dreamcast box art inside perspex squares and is now selling them on eBay for £4.99 each as drinks coasters. It's a spectacularly simple idea, but it's also quite brilliant as these coasters look decent and would undoubtedly brighten up the most utterly boring of chintz-covered, best china-adorned tables. The seller does have other coasters with art from other consoles available (PlayStation, Game Boy etc.) and the only criteria for this treatment appears to be the square dimensions of a console's boxes. Personally, I'd like to see a full size, 1:1 coaster of the big box PC edition of Doom turned into a coaster that I can rest a plate of beans on toast atop, lest I spill my juicy quarry all over the upturned fruit box I use as a makeshift table...but we can't have it all. My squalor is my curse. You can spend £4.99 of your hard earned cash on these things by visiting the eBay store here. But please don't moan at me if it turns up and you don't like it. Cheers. Cosmic Smash: simply the finest minimalist squash game where you get on a 'cosmic bus' and whack a glowing ball at neon cubes. No, I haven't been at the vodka again - that's just the best way to describe Sega's 2001 NAOMI and Dreamcast release. 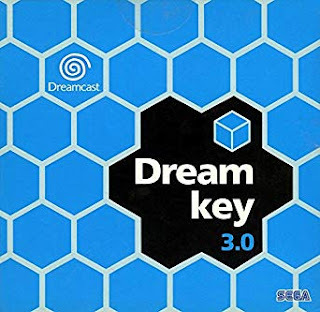 The game was only ever released in Japan and has become quite a sought-after title for the Dreamcast, and not least because of the unorthodox packaging - it being one of the only official Dreamcast games to be released in a DVD-style case. 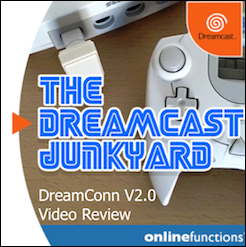 We covered Cosmic Smash quite some time ago here at the Junkyard, and I also heaped praise on it when I wrote a Dreamcast-themed Minority Report for Retro Gamer Magazine a couple of years back (issue 146 if you're interested). One thing I certainly missed in all my time playing the game though, was the inclusion of several secret characters. Secret characters that until now have pretty much never been seen or even mentioned anywhere on the internet. Enter fellow blogger Jeremy Hobbs, curator of Ribbon Black. As he explains in his excellent article, Jeremy inadvertently unlocked a secret playable character he had never seen before - one of the 'worker' characters seen in the intro sequences. 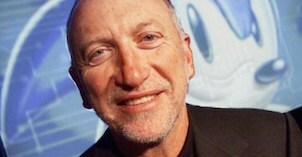 Initially, Jeremy thought he had unlocked the new avatar because he'd followed a certain route through the game, but this wasn't the case. After going down a rabbit hole to discover just how he did it, Jeremy then learnt (after much internet and forum digging) that there are several other secret characters locked away in that retro-futuristic neon subway system of nightmares. One of them is a bear holding a fish (see above), but I won't spoil the story any further. As someone who knows what it's like to stumble upon something and then become embroiled in trying to find the answers (remember the whole 'Dreamcast Barber' thing? ), this topic really piqued my interest; that a game - albeit one as obscure as Cosmic Smash - can withhold its secrets for almost 16 years is nothing short of staggering to me. 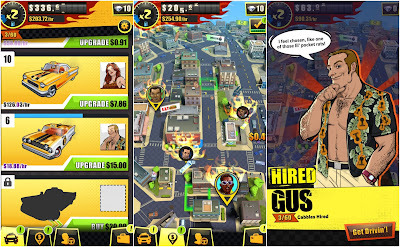 Head over to Ribbon Black here to read the whole fascinating story, and also how you too can unlock the wacky extra characters. 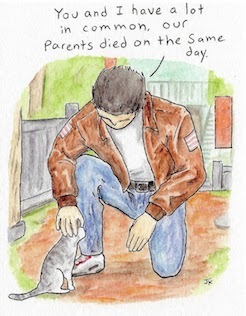 Thanks to my Junkyard co-writer Aaron Foster for alerting me to this. 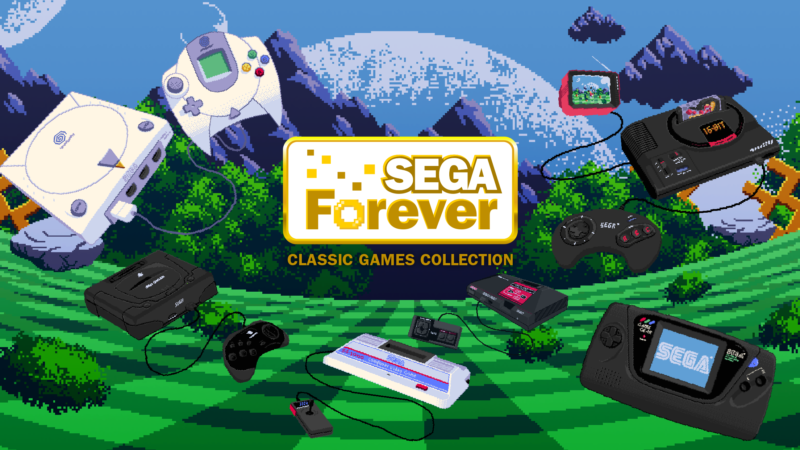 SEGA Forever Finally Revealed, Includes Dreamcast Games! So the wait is over. 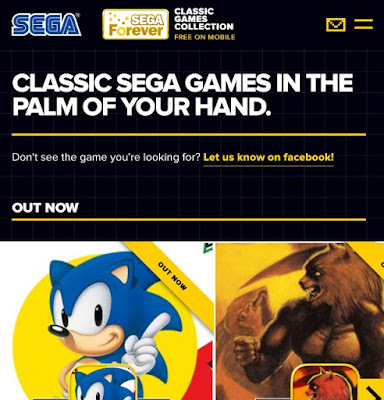 SEGA Forever has finally been revealed as the mobile gaming service most of us kinda already guessed it would be. 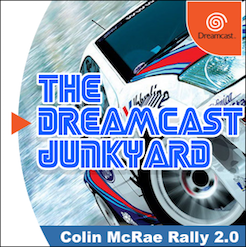 Playing retro titles on mobile devices is nothing new, but this service offers something not yet seen: an ever growing library of titles from across the whole of SEGA's console back catalogue...including the Dreamcast. There are only a handful of Mega Drive titles available initially, but the library will be expanded over time, with Master System and Dreamcast specifically cited on the SEGA Forever website. Interestingly, the SEGA Forever Twitter account also teased images of the SG-1000 and Saturn recently, so we'll be keen to see if those platforms are emulated too. SEGA Forever is available for iOS and Android devices, and boasts some nice features such as online leaderboards and Bluetooth controller support. The first batch of games, which includes Sonic the Hedgehog, Altered Beast and Comix Zone will be available within 24hrs of the reveal. 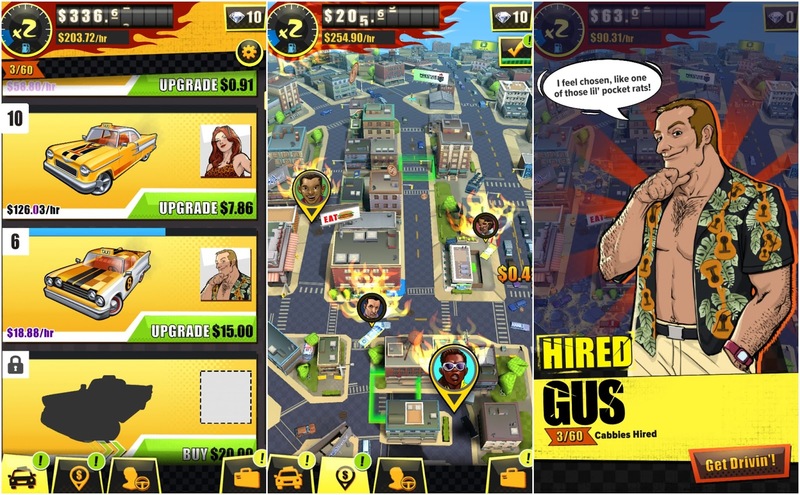 While games will be free to play, details covered at both SEGA Nerds and SEGAbits suggests that in order to remove adds, a small fee will apply for each game. What do you think? 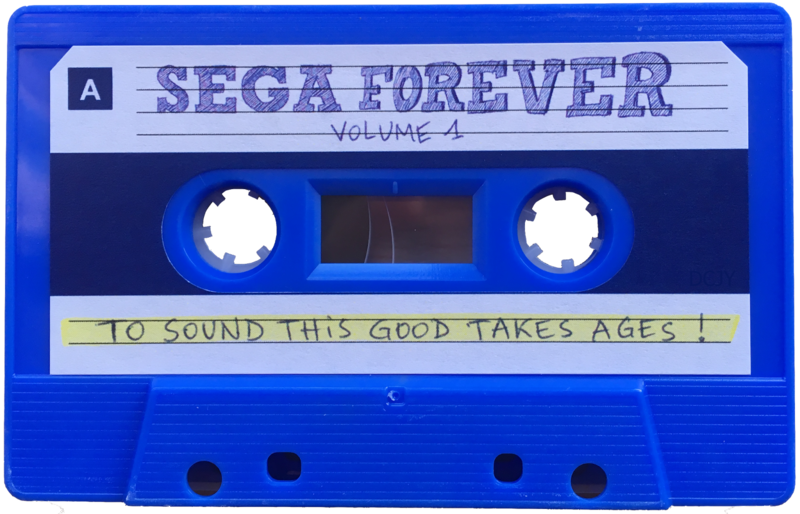 Excited for the Dreamcast-specific portion of SEGA Forever? Or is this a crushing letdown? Playing games on a touchscreen has always been a bit guff...so it'll be interesting to see how this changes the landscape - if it can. 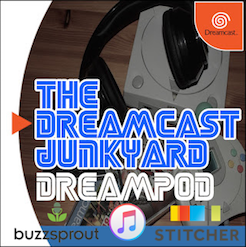 As far as playing Dreamcast games goes, we'll no doubt be keeping an eye on this and seeing how the emulation competes with what's already out there. Oh, and if we can get the DreamConn to work with our mobiles, that'll be a bonus too! 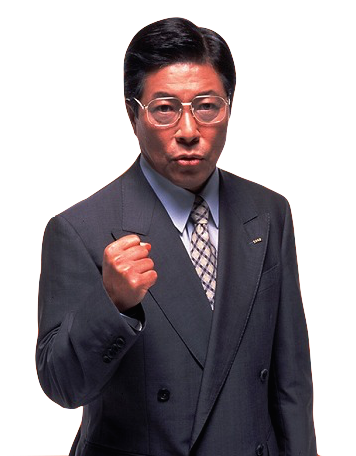 So, SEGA Forever then. Best thing ever or huge #SEGAFail? Let us know in the comments or join the discussion in our Facebook group. You can also follow SEGA Forever on Twitter for updates. Damascus Apparel is a clothing brand based in San Diego, and is a huge name in the alternative and EDM (Electronic Dance Music) scenes. Damascus has been in business since 2009 and since then has become one of the largest and well known producers of clothing and accessories tailored to meet the needs of its community. Why am I telling you this? 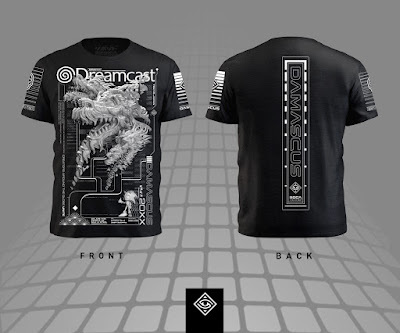 Because they've just released a limited edition Dreamcast t-shirt. 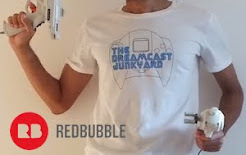 We've featured apparel, jackets and shirts here at the Junkyard on many occasions but this is the first time we've seen a relatively niche, underground - and widely respected - clothing manufacturer incorporate the Dreamcast into one of its products. Taking a look at the Damascus website, it's clear that the offerings may not be to everyone's tastes, but what they do they do well. I was actually pretty intrigued to know more about the EDM scene after learning about Damascus, and there are a few interviews on various scene-specific magazine websites (here, here and here) that I would recommend giving a read. The Dreamcast t-shirt itself mixes a Dreamcast logo and a Sonic render with other symbols and designs which are a consistent theme in Damascus's clothing. Oh, and a whopping great dragon. Honestly, I can't see myself wearing it because I'm more of a Hawaiian shirt kinda guy, but I'm pretty sure there are plenty of people out there who would snap this up in a heartbeat. The Dreamcast shirt is limited to just 99 copies (is that the right word?) and costs $45 plus shipping. Head over to the Damascus website here for further information. The most impressive thing about the whole Xenocider project for me, is that all of the guys working on this fine-looking 3D shooter are doing all of the development in their spare time. 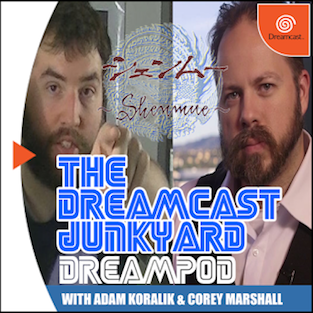 They have careers in other fields and are working on producing one of the first fully 3D indie games for the Dreamcast once they knock off from their day jobs: now that's dedication for you. Once again, you can read the entry in full by heading over to the Retro Sumus website here. 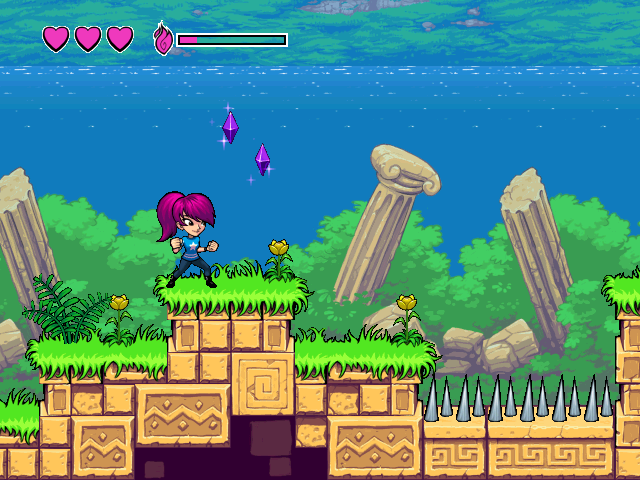 With Xenocider, SLaVE and several other as-yet-unannounced titles due to hit the Dreamcast in the coming months, 2017 is shaping up to be one hell of a year for Sega's 'dead' console. The title says it all really. I recently purchased the Akura HDMI cable for Dreamcast and have been fiddling around with mixed results. By far the best quality I've been able to get out of it so far has been by pairing it with the XRGB Mini. Here's a quick capture uploaded to YouTube, be sure to set it to 1080p and judge for yourself. We'll be holding a live Q&A at 9am this Saturday (17th June) on our Facebook page. 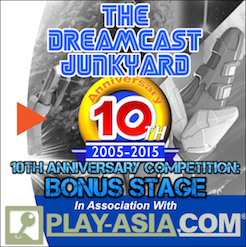 The format of the Q&A will be a live stream of the Japanese version of Shenmue running on original DC hardware. I fancy myself as a bit of a videophile when it comes to the DC, so be sure to tune in and ask any questions related to upscaling, capturing footage, cables, CRTs or anything else that takes your fancy. No holds barred! Remember folks: Saturday 17th June, 10am BST (that's 6pm in Japan where I live, just so you know). On The Dreamcast Junkyard's Facebook page. See you there! SEGA Forever, if you're not familiar, is a mysterious new service that Sega has been teasing for the past couple of months, and which many people have speculated will be some kind of mobile gaming platform. While this isn't specifically Dreamcast related in the slightest, it's still pretty cool and will most likely introduce a whole new generation of gamers to the classic Sega IPs of yesteryear. Also, if you're wondering why I keep jumping between writing Sega as 'SEGA' and 'Sega,' it's because it is my prerogative to be as stylistically inconsistent as I like. We only live once, after all. 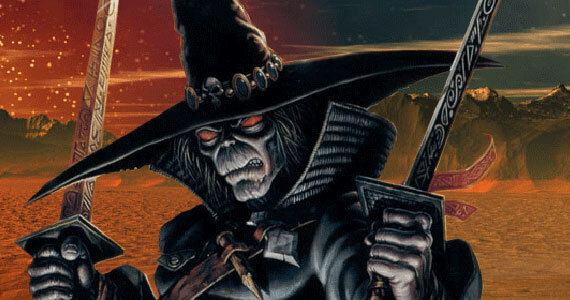 Well, unless you're Chakan the Forever Man...although technically he still only has one life, albeit one that can never be extinguished. But you get the idea. "Did you just spill my pint?" 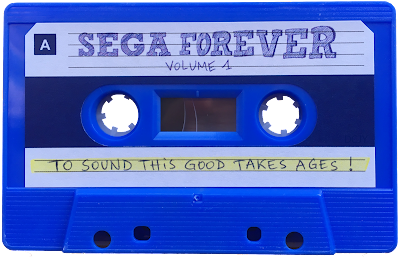 Yes, a rather spiffing SEGA Forever branded audio cassette tape and a biro. This is cool for several reasons, and not least because I'm old enough to appreciate the 'biro and tape' reference - back in the 'old days' we used to use a biro to wind the tape back up if it unwound inside the tape deck or got chewed up in the player heads. It happened more times that I care to remember with my copy of Now 23, and I'll never forget the great sense of loss I felt when Would I Lie To You by Charles & Eddie ended up sounding more like an experimental Beatles track. But I digress. We recently cast our minds back to the early 2000s and took a misty-eyed look at the fairly decent Dreamcast and PC role player, Silver. 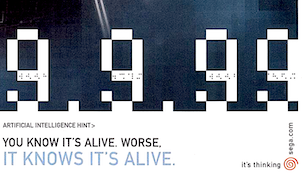 The game was largely ignored back when it was ported to Sega's platform in 2000, and it was viewed more as a 'lite' RPG when compared to the more traditional examples of the genre, such as Final Fantasy et al. 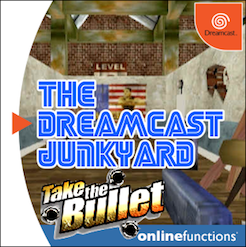 The Dreamcast version has become quite a sought-after game in recent times though, and as with a lot of lesser-known titles on our beloved console this has caused the price of Spiral House's adventure to spike. The good news is that thanks to THQ Nordic, Silver has recently been re-released on Valve's Steam platform for the bargain price of just £4.99. Naturally, the minimum specifications required to run Silver on Mac OS, Windows or Linux operating systems are understandably modest - the game was originally released for computers in 1999 after all. 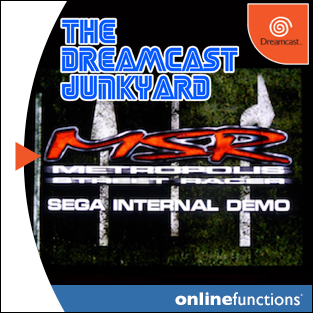 If you haven't experienced this enjoyable little role player and you're having trouble tracking down an affordable copy for the Dreamcast, you could do much worse than investigate this recent Steam re-release. You can find out more about Silver and purchase the game on Steam here. Music in this episode is from Sega Swirl. 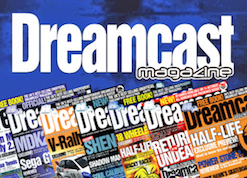 You can find out further information on the Dreamcast emulator for Xbox One here, the Deer Avenger discovery here, Xenocider here and SLaVE here. Also, be sure to check out Orion's Escape 2042 here. Feel free to join our Facebook group, like our Facebook page and follow us on Twitter; and if you’re feeling flush and/or generous our Patreon is here. Oh, and one last thing - give us an iTunes review if you can be bothered. Cheers! 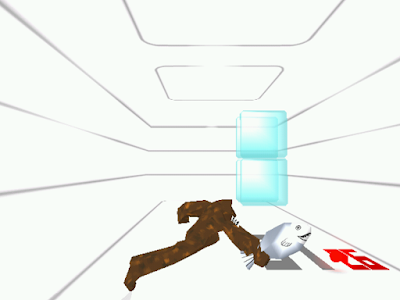 It seems like forever ago that we last had some news to share about Isotope Softworks' awesome-looking first person shooter/puzzler SLaVE. Numerous bug fixes, an appeal for a Dreamcast coder's cable and various other delays have beset the development process of this ambitious, neon-soaked extravaganza. Now though, lead developer Coraline Ash has shared a brand new video on YouTube, demonstrating SLaVE running on actual Dreamcast hardware. "We told you it was coming, and now here it is! First off, we apologize for the lousy capture method used (PC Webcam), but we hope this accurately depicts what you've all been waiting for! Only a few more issues to be worked out as witnessed in this footage capture (skybox generation, minor speed issues with dynamic lights), but I sincerely hope this proves beyond a matter of a doubt -- SLaVE is so close now - those pre-orders will be worth it my friends!!" The YouTube description also goes on to describe that SLaVE will make use of the mouse and keyboard and even the Twin Stick controller, along with Dreamcast rumble pack support. There's still no concrete release date for SLaVE, but this video proves that development has come along leaps and bounds. What with Xenocider from Retro Sumus and a bunch of other things we've been asked not to announce just yet, 2017 is set to be a very interesting year for Dreamcast gamers. If you'd like to pre-order SLaVE, head over to GOAT Store here.